Afternoon tea for two? Yes, please! 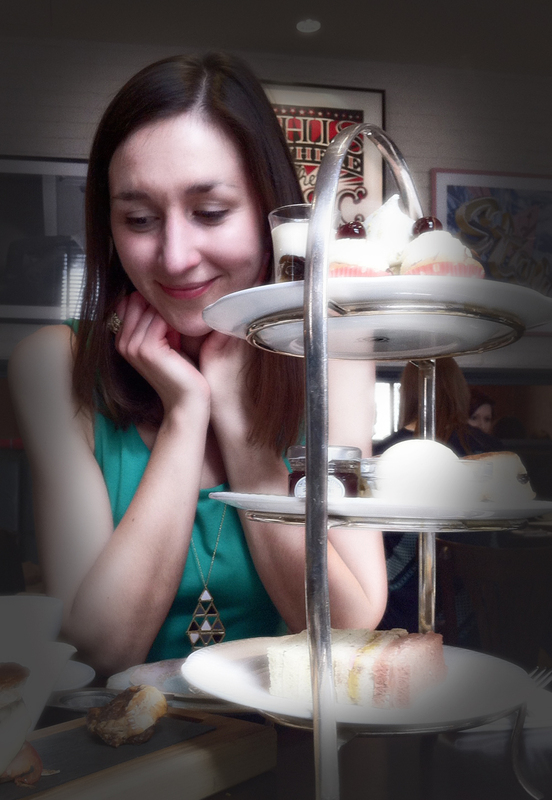 On a sunny afternoon in May, my boyfriend and I had our first experience of going out for afternoon tea. Not usually ones to spend our Saturdays sipping tea in Mayfair hotels, we eased ourselves in gently by going for a more relaxed experience at the restaurant in the Mandeville Hotel in Marylebone. They had a special deal for champagne afternoon tea, plus much to my other half’s delight they also offered a “gentleman’s” afternoon tea where finger sandwiches are replaced with more manly mini-treats including a Welsh wagyu burger and a miniature steak topped with snail. I opted for the “vintage” afternoon tea which came with reassuringly classic sandwiches including ham and piccalilli, and egg and watercress. Getting ready to eat the afternoon tea treats! The selection of mini cakes was impressive: battenburg, a rich dark flourless chocolate and orange cake, pistachio meringue… but without doubt my favourites were the delicious scones with jam and cream. The Moutard champagne was free-flowing to the extent that we were both a bit giddy on entering the world again in the late afternoon sun. My one future request would be for the tea and cakes to be served in vintage china but you can’t have everything I guess! 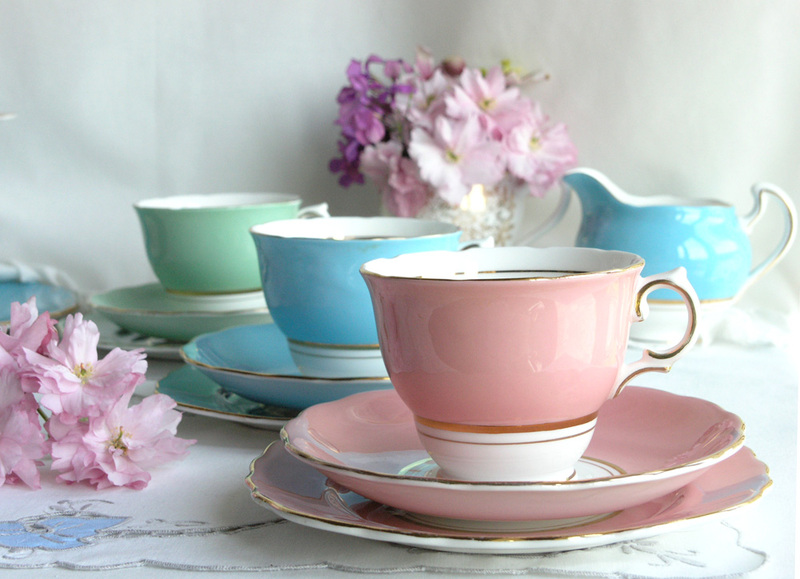 I’d love to have afternoon tea served in my favourite Colclough ballet colours! Much to my surprise and delight, a friend who I hadn’t seen in over a year had booked a table at the same time as us. Just goes to show that sometimes even London can be a small world…or maybe it’s just that my friends and I are all lured by champagne specials! I’m looking forward to expanding our afternoon tea experience. The difficulty will be where to go next…? There are lots of online guides so maybe I’ll pick from one of these. I’d welcome any suggestions! I’m not sure that Claridges can be beaten for understated glamour, definitely gets my vote! Rachel, I so enjoy your blog. I just bought 6 tea trios and some cake plates from your shop for my bridesmaids and was eager to check out this site! I currently work at the High Museum of Art, and love how you blend beauty, history, and tales of your adventures on this blog. I am also a budding tea lover (I bought my first loose-leaf a few months ago). Keep up the beautiful work! I will definitely become a regular reader and am considering grabbing a few more trios as gifts for other special ladies in the next few months. Thanks for your kind words! 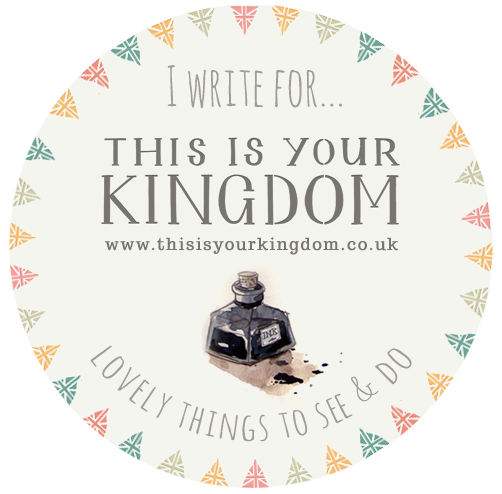 I’ve been reading your blog too and love your selection of posts. I love reading what life is like across the Atlantic – so many subtle similarities but obviously many differences. Working at the High Museum of Art sounds fascinating! I love losing myself in large museums and seeing what I discover.